Welcome to the Arduino and mobile application resource section. In this section, you will find various resources to get started developing mobile applications to interact with your Arduino projects using Evothings Studio. Arduino is a single-board microcontroller platform, intended to make building interactive objects or environments more accessible. The hardware consists of an open-source board designed around a number of different micro-controllers with various capacities of flash memory, RAM and EEPROM designed to execute simple sketches. 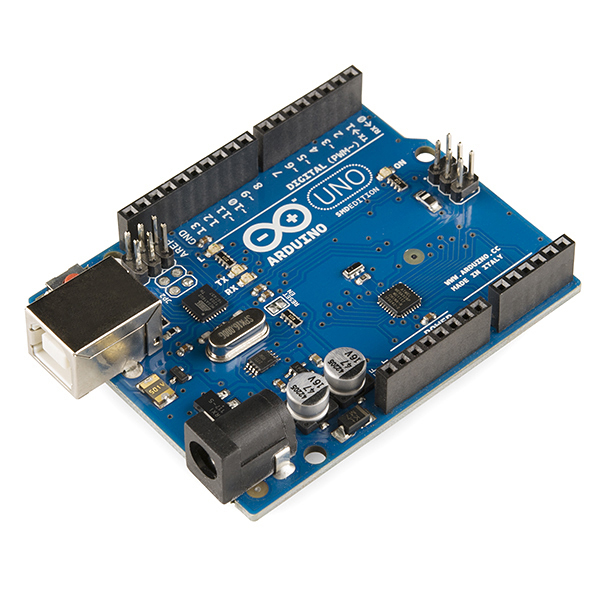 One of the most popular boards for makers and hobbyists is the Arduino UNO (pictured). Current models typically feature a USB interface, six analog input pins, fourteen digital IO pins (that can double at PWM pins) and provide an interface to accommodate various extension interface boards provided by third parties known as shields. Below are a number of resources on our website to support getting started with developing mobile apps using Evothings Studio. Enjoy discovering a new world of possibilities combining your Arduino projects and mobile applications! Is it possible to secure micro-controllers used within IoT?